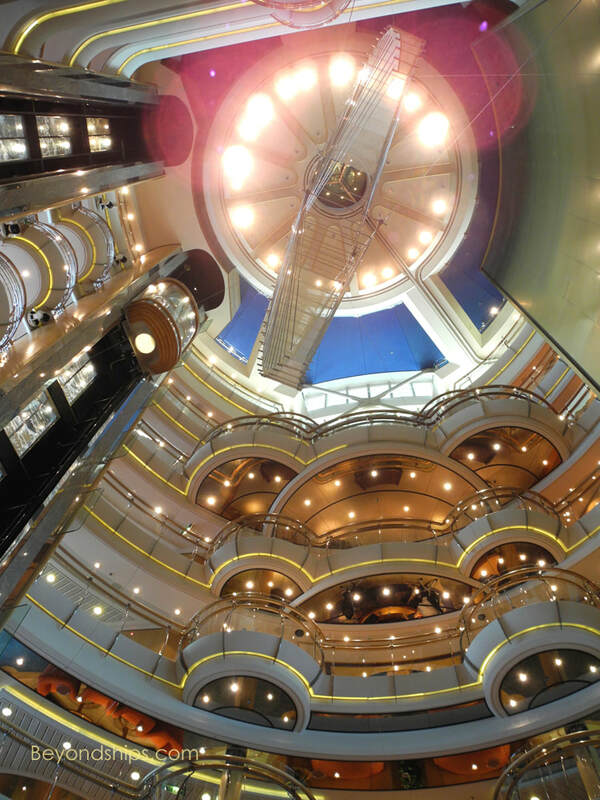 Above: The heart of the ship's public spaces is the multi-deck high atrium called The Centrum. 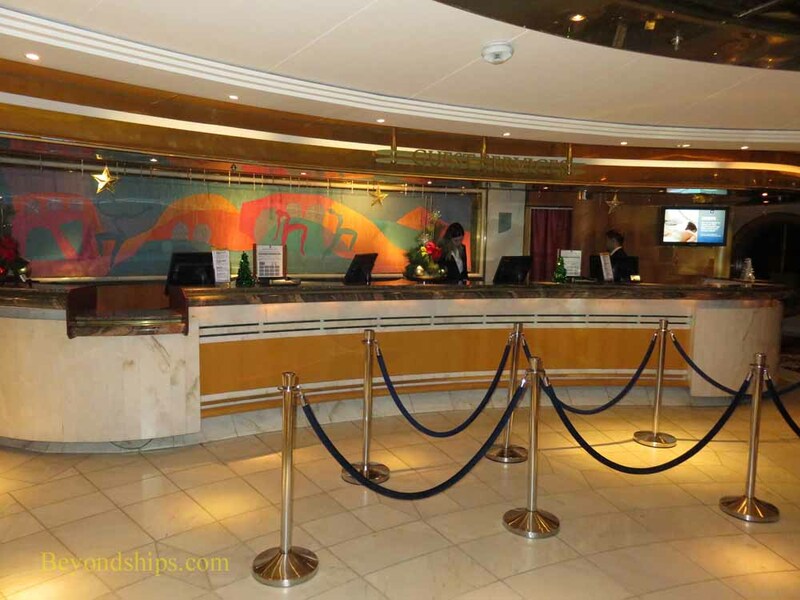 find the ship's offices such as the Guest Relations Desk. Finally, it also acts as an entertainment venue with activities, parties and other events staged there. barge was inserted into the middle. restaurant, a new nightclub and an art gallery. Another 151 passenger cabins were also added. The lengthening of the hull also gave the ship the ability to achieve somewhat greater speed. 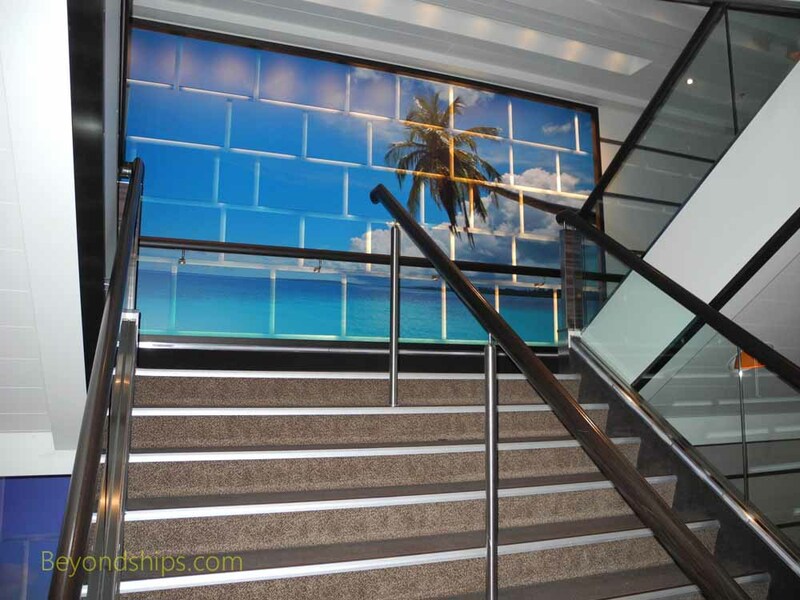 The style of cruising onboard is the Royal Caribbean mixture of casual relaxation interspersed with formal nights. However, in some ways, Enchantment provides cruising as it used to be. 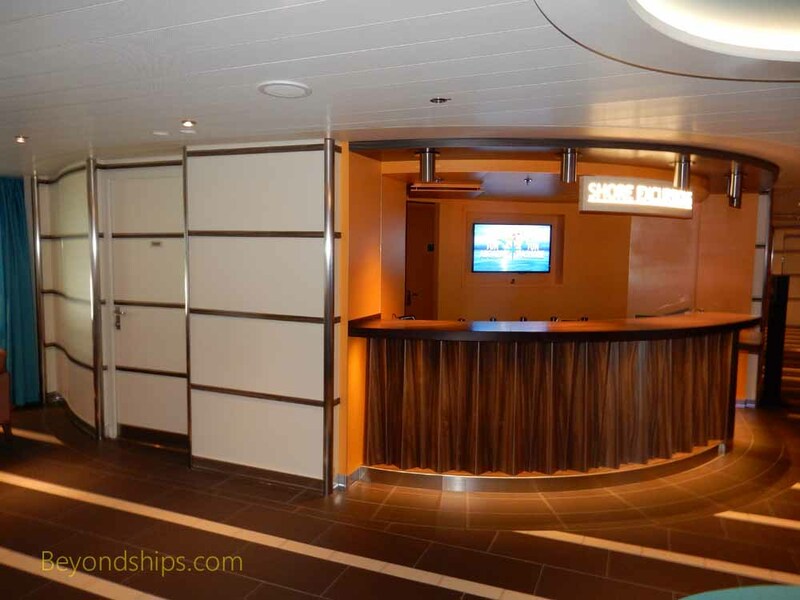 The emphasis is not on the ship's hardware but on the relaxed friendly atmosphere and service provided by her crew. 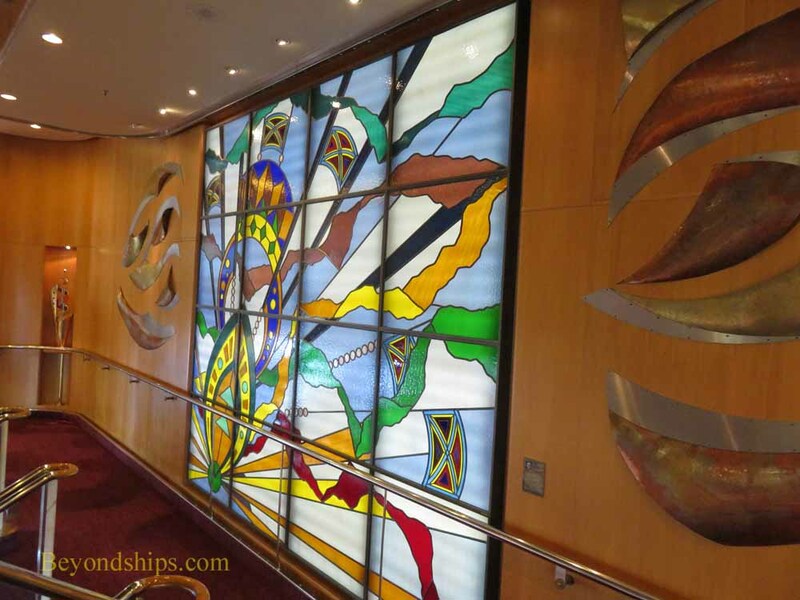 This ship has a good quality late 20th century decor. The public rooms make use of light colored woods and fabrics interspersed with polished metal. 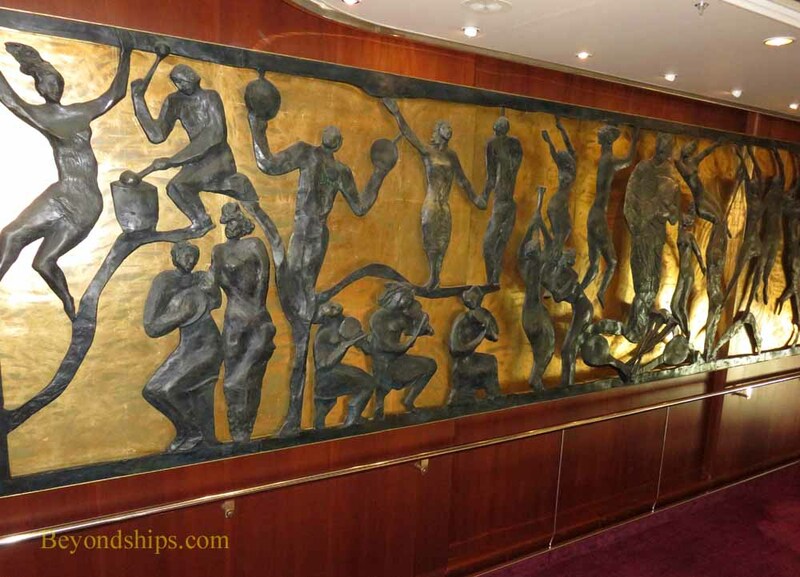 There is a nice art collection featuring a variety of different styles of statues and reliefs. 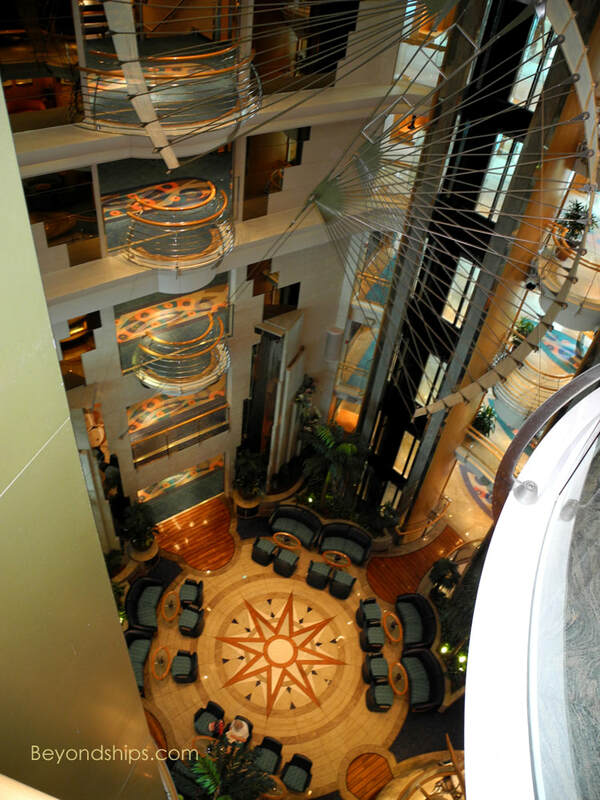 Sitting side by side in the Centrum on Deck Five is Explorations (above left), where guests can book shore excursions and transfers, and the Guest Relatins Desk, the ship's reception desk (above right). 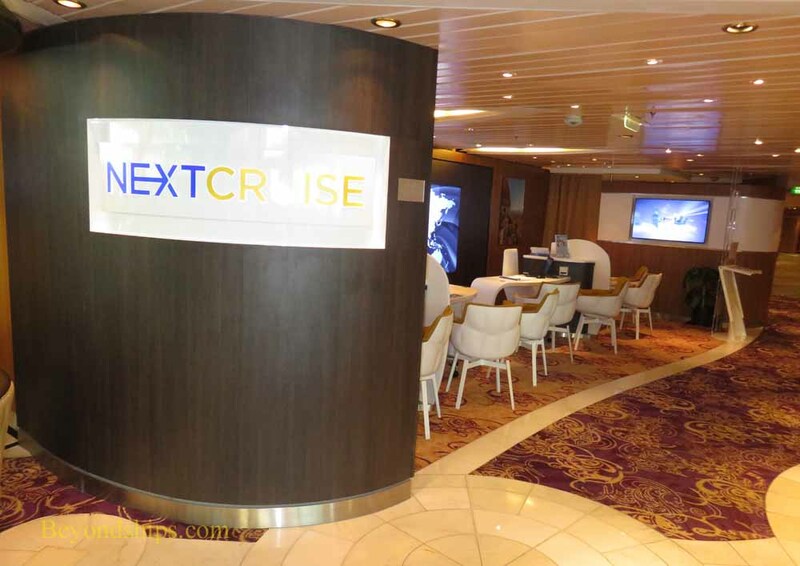 At the Next Cruise office, guests can book future cruises on Royal Caribbean and on affilated lines such as Celebrity Cruises and Azamara Club Cruises.